John Maher: Hi, I’m John Maher. I’m here with Sue of My Life Greetings and today we’re talking about tips for ordering holiday cards online. Welcome, Sue. Sue: Hi John. How are you today? John: Good. 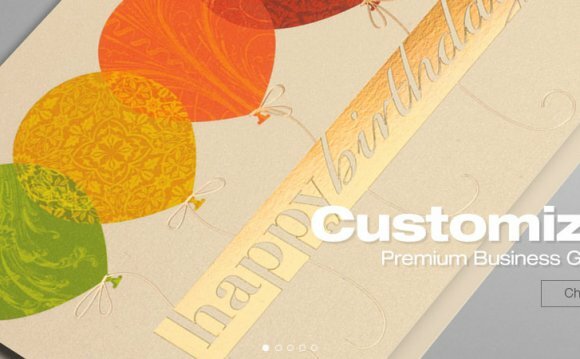 Isn’t it hard to order cards online? Sue: Our website, mylifegreetings.com, is so easy to use! Ordering holiday cards has never been easier. John: But there are so many cards. How can I choose which one is the right one for me? Sue: Well, our cards are broken into categories so it’s easy to choose just the right card. Sometimes people get in ruts when looking through hundreds of cards online. They’ll start browsing and think, “Well, I have no interest in Fine Art cards.” You know what I mean? Sue: My suggestion is to take a quick peek at the different categories available. They’re all laid out visually using small thumbnails. Take a quick look, if those cards don’t grab your attention, that’s okay. You don’t need to take a look at every single card, which would take a lot of work and time. But, there are over a thousand cards on the website, but if something isn’t too far out of your wheelhouse, give it a shot and see how it goes. John: What if I want to try and to narrow my choices down? You mentioned that the cards are organized into categories. What are some of the categories that you have? There’s also a category for our most popular cards, which people will click on a lot, mostly because they’re tried and true cards, such as calendar cards, religious cards, personal cards. This makes it easy to go to the right category. You can eliminate those that really totally don’t apply. John: Each category is then broken down further. There are themes and styles within each category. Eventually you’ll find your card. What if I still have a hard time deciding? Sue: Well, we give you the option to save cards. You can look at them side-by-side on the site. Sometimes you look at some many that you stop and think, “Wait a minute, did I look at that one already? There was an ornament one, I think it was three pages back.” Avoid this by just clicking on the heart to save your favorite cards. This way they’ll all pop out very nicely for you when you can see them side-by-side. It’s a nice little feature on the website. John: What if I’m the type of person who just really needs to see, or touch and feel the card to see if it’s the right one for me? Sue: What I suggest you do is go through the website and narrow down your choices. We’ll send you up to three free sample cards. All you have to do is on that particular card just click order a sample. It will pull up a nice little form. You just enter your mailing address and we’ll get the samples out for you. A lot of people do like to see the cards and touch them to make sure it’s a nice quality. John: Feel what that cardstock feels like. Sue: Exactly, exactly, it’s very important. John: Those sample cards just wouldn’t have my family name on them or customization. Is that right? Sue: No, they’re blank. It would have the design you’ve chosen on the front and then that way you can see and feel. There are many verse options that would not be printed on the inside of the card nor would your family name. On the website, if you do enter a family name or things like that, you can pull up a proof and you can see how your name would look and the type that you’ve chosen and things like that. Or, once you’ve ordered, on the website you can actually request to have a proof so that after it’s gone through our typesetting department you’d be able to see. John: How hard is it to add a photo to the front of my cards? Sue: Our website has such an easy upload feature. It’s great if you have a business and want to add your company logo to your card. Or maybe one of your children has just learned how to write. Have them sign their name on a piece of paper, scan it into your computer, then upload it as an artwork file. We can use that so you can have your son’s signature in that little kindergarten-like handwriting. John: Right, That’s a great idea to have your children’s artwork and use that as your holiday card. Dolphin Music is an online music shop owned by S Audio. It first began in Liverpool, England in 1999.